As regular readers know, I am fascinated by design sources in architecture and the decorative arts—I love the way designs of different cultures get interpreted and re-interpreted as they travel. 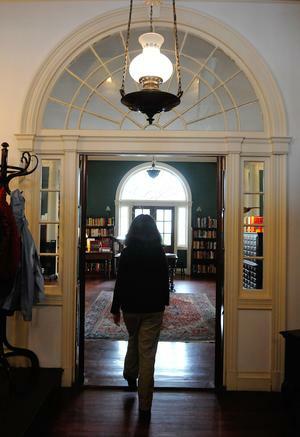 In the United States, a wave of Americana fever swept the country for a century after the Philadelphia Centennial Exposition of 1876, and copies of favorite American houses became all the rage. 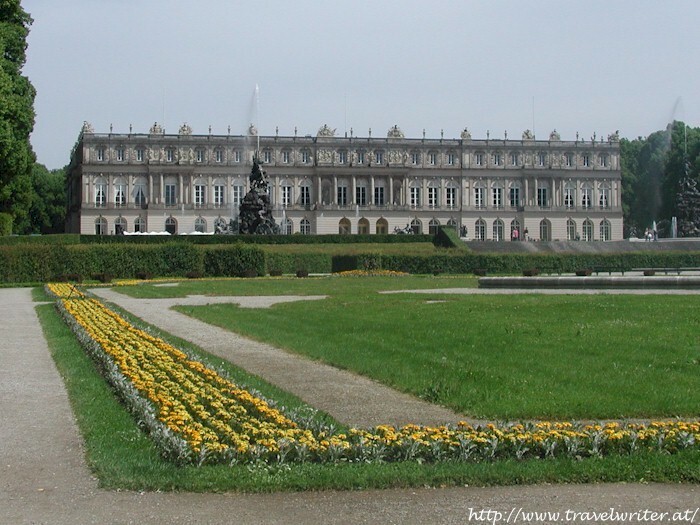 The most popular were houses that were both fine examples of their types and had association with famous persons. The prime example is, of course, George Washington’s Mt. Vernon, which has spawned thousands of imitations, from gas stations to actor Rob Lowe’s overblown evocation published in Architectural Digest a couple of months ago. 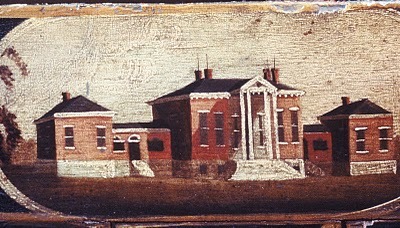 Homewood, pictured on the center panel of a chair from a set depicting Baltimore landmarks. 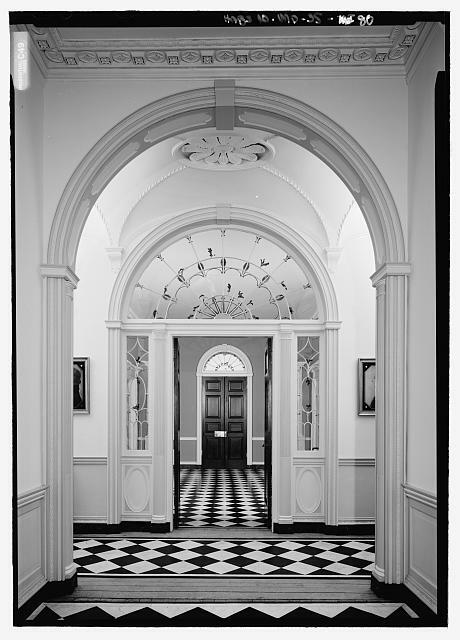 One of the most frequently copied houses was Homewood in Baltimore, Maryland, one of the most sophisticated early 19th century houses, a Palladian composition with neoclassical details, which was built in 1800 by Charles Carroll, a signer of the Declaration of Independence, for his son and new bride. 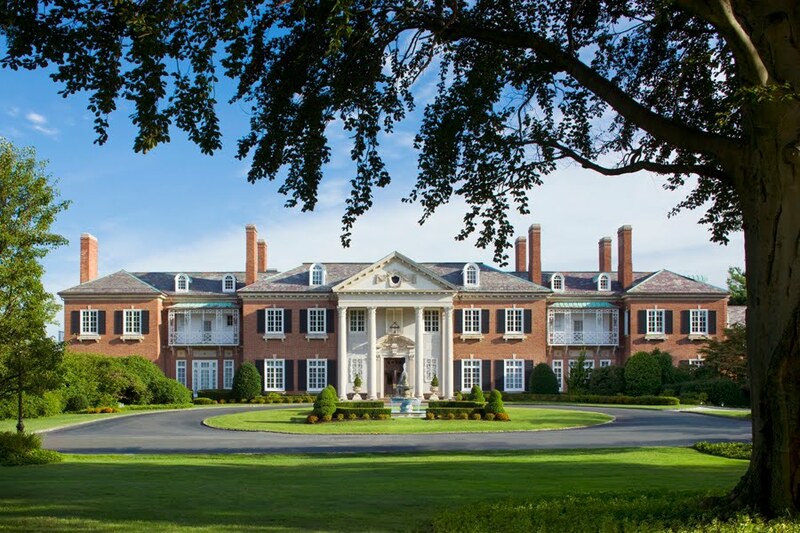 It is a rare American suburb that doesn’t contain at least one house with a version of its superb portico. Herewith, a few examples of Homewood adaptations from coast to coast. 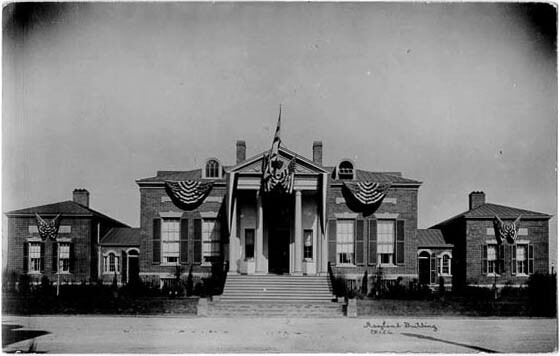 In 1907, the Salem Athenaeum, in Salem Massachusetts, used Homewood’s center block, with slightly steeper pediment, as inspiration for their new building. The interior of the Salem Atheneum, above, pays homage to the original, below. 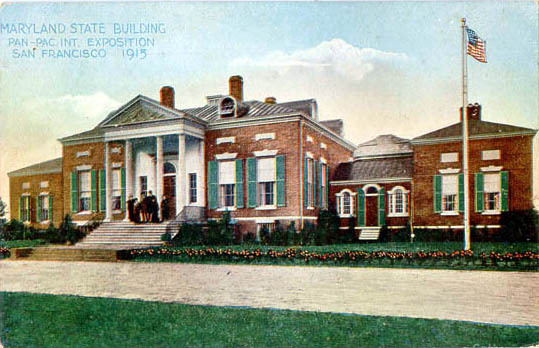 The two postcard views above show the Maryland State Building at the Panama-Pacific Exposition of 1915 in San Francisco, an exact copy of Homewood. 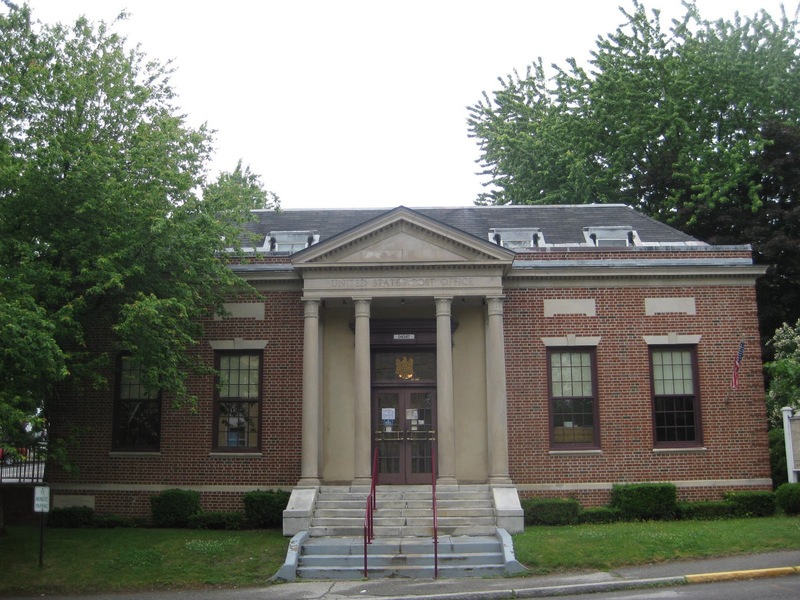 And in Hallowell Maine, Homewood was the inspiration for the Post Office, here translated with limestone portico, rather than the wood of the original. The purple painted window trim is probably a corruption of the original color chosen by the architect 70 years ago. 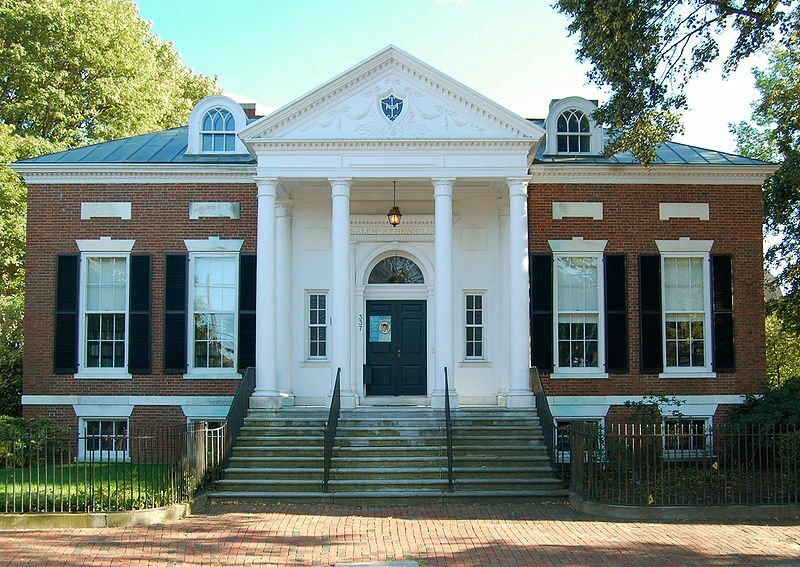 Other popular early American houses to copy were The Lindens, built in Danvers Massachusetts and now in Washington DC, the John Hancock House in Boston, the Hammond Harwood house in Annapolis, and the Longfellow House in Cambridge. As the months go by, I’ll post about their doppelgangers. If you’re interested, of course. Aw, Concrete Jungle, I didn't know my endearment was so offensive. And it seems you used to enjoy my "drivel. "Back to what really matters. Of course, I love to read whatever the Dilettante chooses to discuss. I'm fairly certain I will be eligible for a post-graduate degree in American Architectural History after another year of TDED posts. Ah, DED, one is so happy to see you posting again. And one is heartened to read a post, and a delightfully interesting one at that, about one of Reggie's most-favored houses, Homewood, the subject of one of his own scribbles. Thanks for shedding new light on such a worthy subject! Love a good portico. Fascinating tour de force, thank you. Wonderful posting. It is the simplicity of Homewood that continues to maintain its visual impact. 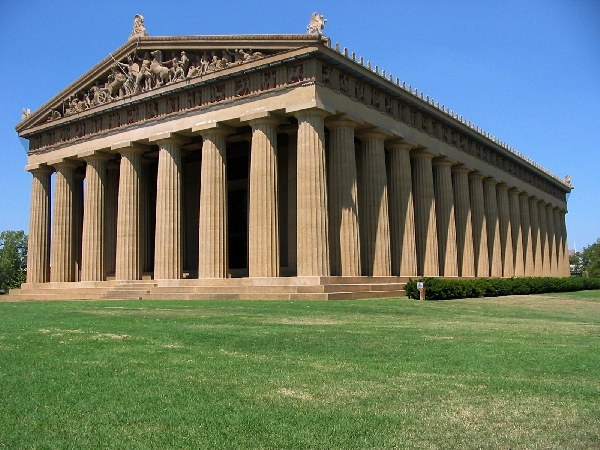 Nothing to obstruct the nearly perfect architecture of the period. Garden walkways used optics to bring maximum attention to the gem. you KNOW we're interested! Keep them coming!I've worked on remodeling 2 horrific 'mt vernons' myself here at work…..those skinny skinny columns -ugh. I have nightmares about them. Definitely interested – love this, especially the post office! 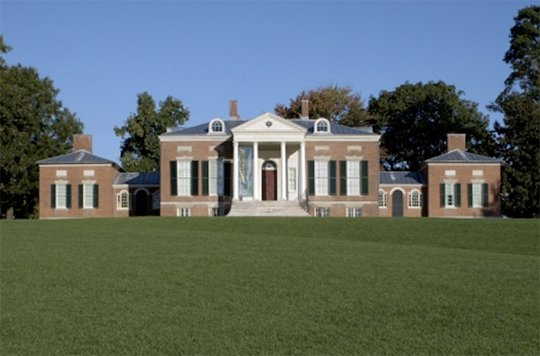 And speaking of Palladian style buildings, have you heard about the Palladio exhibit now at the National Design Museum in D.C. – there are some very good videos on the site you might find interesting! Great post! (as usual). There is something is classic about Homewood. It's like a little black dress and a Hermes bag. You just can't go wrong with it. Thanks for the lovely post. Did you hear me chuckling from down here in Boston when I opened the Architectural Digest and saw Rob Lowe's mega-Mt. Vernon? Pretty sure there was never a Malibu George!!! Yes, by all means, keep the posts coming. where can I download the midi file for vivaldi storm for piano ?